Hey everyone! May was an extremely busy and hectic month. I couldn't write a lot of posts due to my birthday, and other events that happened. June is a little less busy but I am going to try to post more because I missed my readers. Thank you for 6,000 views , it means a lot to me that so many people have read my blog. 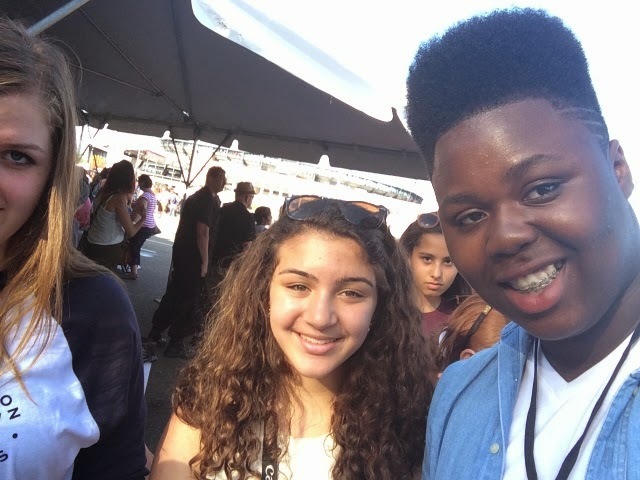 Yesterday, June 7th was Digifest New York City. Digifest is an event all over the world where there are famous youtubers, viners, instagramers, and singers. There are many events such as meet and greets and concerts. Well, my friend took me to this wonderful event and it was one of the most fun ways to kick off the Summer. First, I got to see Chase Gohering perform a few songs, especially his famous song called "Hurt". He was on last season of American XFactor and he was really good. I think I may be a fan of him now. I was so close to him and I started screaming his name. 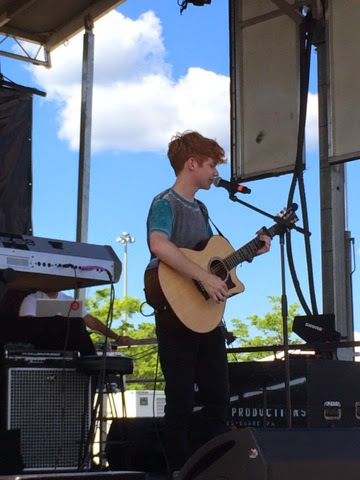 I went to the side of the main stage to see if I can meet any viners or performers. I got to meet a viner and take a picture with him which was pretty cool. But, most importantly I got to meet Frankie Grande. He is Ariana Grande's brother and is a performer himself. He didn't take a picture with me which was a bit annoying but I got to take a picture of him. I got to meet another viner which was pretty cool. I pushed my phone at him and he took two pictures and he was so nice about it. 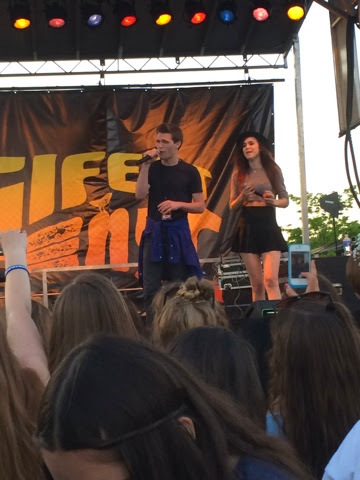 One of my favorite events was Acacia Brinley and her brother Peyton Clark perform a few covers of songs. Peyton Clark is on the Disney Channel show, I Didn't Do It. Acacia Brinley is a singer and she is more famous for her tumblr, and youtube. They performed a few songs and they were really good. After their performance I waited a little bit at the stage and started screaming their names. A little part of me thought they weren't going to come over to me. I was wrong, they came up to me and I got to take a picture with both of them. Peyton was so nice and was really funny. 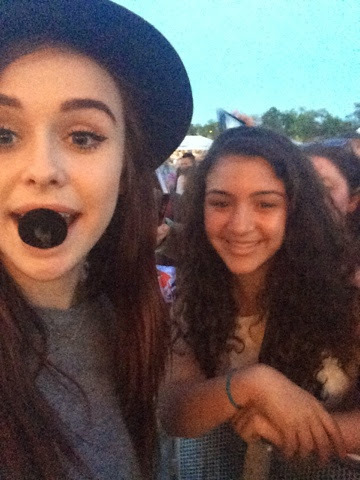 Acacia took the selfie with me and she held my phone. She was so nice and I was so happy to meet her. An Acacia fan page even featured me on their instagram since I got to meet her. I really wanted to meet her and I started freaking out after. My friend also got pictures with them too. I went up to these guys and they had talent on their cards. 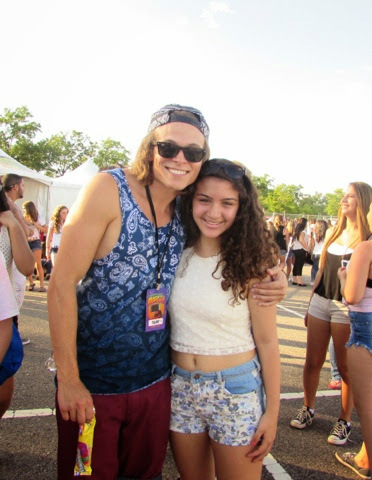 They gave me hugs and my friend took pictures on my camera with them. Did I mention they were really attractive? They were taking photos with a bunch of people. 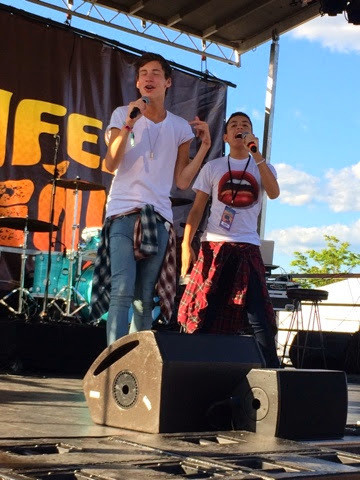 Lastly, I got to be 3 yards away from Lohanthony and Thatsojack. Jack and Anthony both looked at me since I was so close and I was screaming their names. They are two of my favorite youtubers and it was pretty great getting to see them. 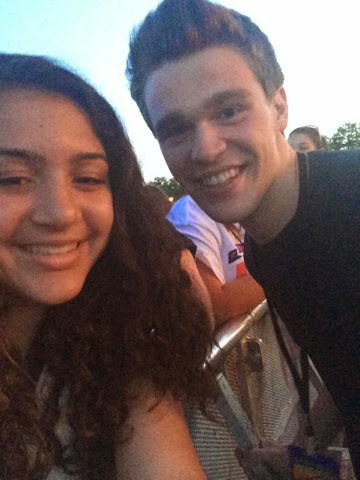 Digifest was a lot of fun and if it comes to a city near you, you should definitely consider going to it. 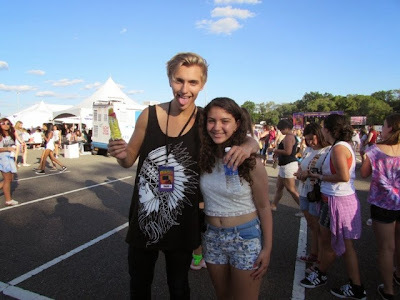 QOTD: Do you recognize any of the people I met? Little girl, you are so talented and full of life. Digifest i know will not come to my city but I am sure this was a lot of fun. Bring more for us to read. Love!